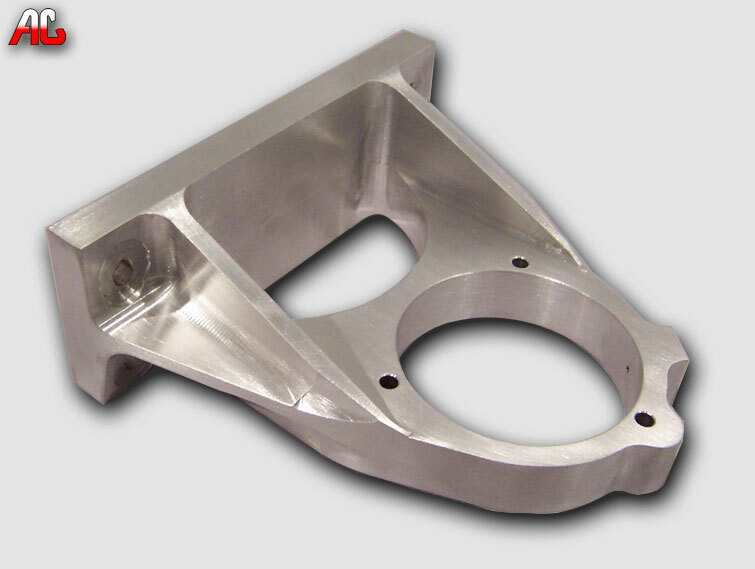 This is a part made of 7075 Aluminum for aircraft industry. 7075 Aluminum is one of the highest strenght aluminum alloys available. Its strenght-to-weight ratio is excellent, and it is ideally used for highly stressed parts. It may be formed in the annealed condition and subsequently heat treated. Spot or welding can be used, although arc and gas welding are not recommended. It is available in the clad (Aclad) form to improve the corrosion resistance with the over-all high strength being only moderately affected. 7075 Aluminum is used where highest strenght is needed. As far as machinability is concerned, 7075 is rated between 75% and 85% of 2011 in the T6 condition and 65% in the O condition. This part was shipped overnight by UPS one day after we received the order. Please contact us regarding urgent orders. Delivery times may vary due to material availability, job complexity and processes necessary, i.e. lapping, plating, heat treating or other surface treatments. We ship UPS, FED-EX or any other carrier to our customers nationwide.